If possible it is best practices to keep the number of images to a minimum. So, in my line of work I’m building reference images for both client and servers, many of the organization I work with are struggling with the fact that they need to have both old images and new images, both servers and clients and also both 32 and 64 bit. Add all that up you will realize that, hmm, lets see… that will be 9 images to maintain, no, wait, I missed the fact that we also have different editions. Servers have Standard and Datacenter edition, that is three more, or actually its 4 more since Windows Server 2008 R2 have Standard, Enterprise and Datacenter. Since it is possible to upgrade every Windows Server edition (Windows Server 2008 R2 and above) to a higher edition (and that includes evaluation editions to) by changing the product key using DISM.exe it is possible to create reference images with the lowest SKU(Edition) that your organization needs and upgrade during the deployment or as this blog post is about, after the OS has been deployed. Internally for us this is great since we are running many proof of concept, labs, tests and such and many cases. I gave up telling/explaining for our internal staff on how to do this, ending up with a script that is “user-friendly”. What kind of conversion can the script perform? Execute the script from an elevated command prompt and select upgrade type. 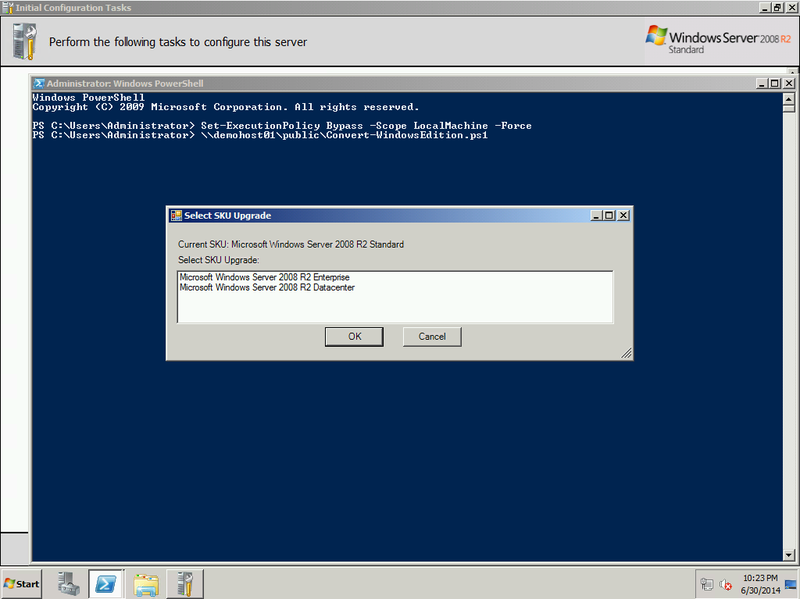 Changing from Windows Server 2008 R2. 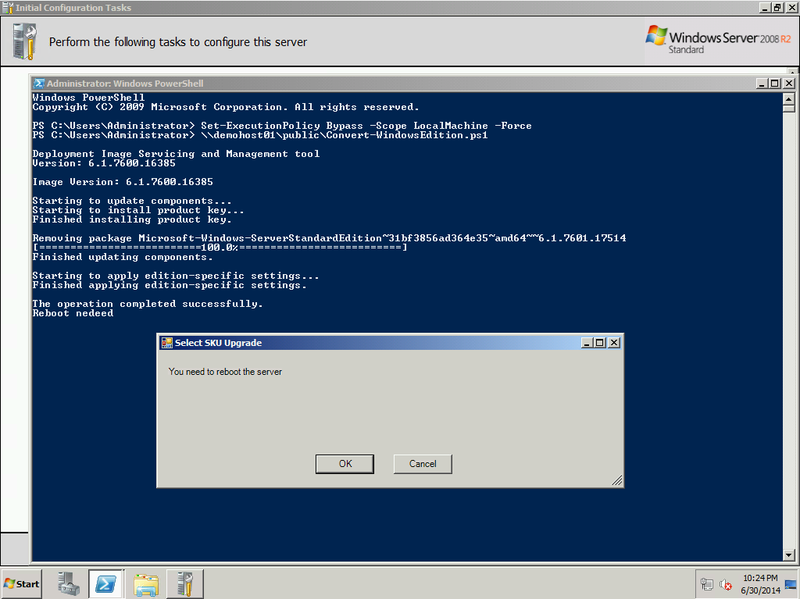 Changed from Windows Server 2008 R2. 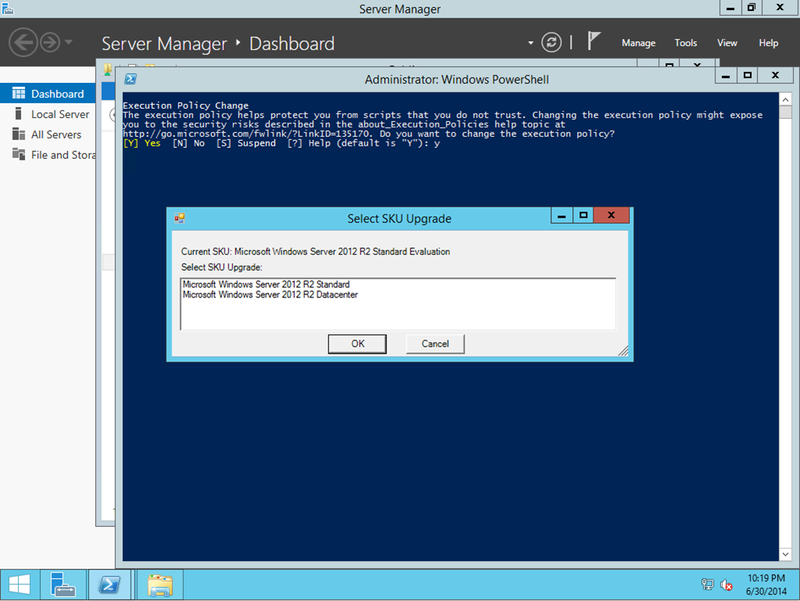 Changing from Windows Server 2012 R2 Standard Evaluation. Changing from Windows Server 2012 Standard.